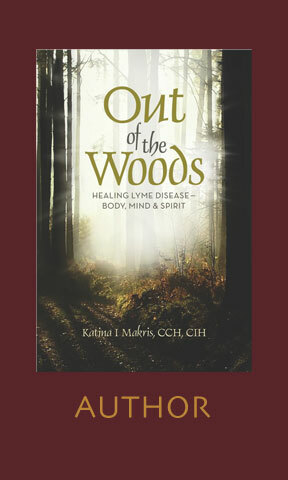 Katina Makris, the author of Out of the Woods, is speaking to the Rotary Club of Providence on September 10, 2012. I have heard a lot about her and her book and am curious to meet another Lyme Warrior or Lyme Cowboy. A Lyme Cowboy (or Cow Girl) is someone who upon discovering Lymeville goes further; someone who stands on the precipice of the medical frontier, staring into the unknown, with dangers and death at the door. Much like the frontier people who moved west in early America, without knowing where to go, how to get there and how to survive along the way. I am a Lyme Cow Girl and warrior, living in Lymeville and proud of it. There are others too. Lots of us trying to make a difference in the lives of so many. This entry was posted in Lyme Disease and tagged Cow boy, cow girl, deer tick, diagnosis, healing, holistic, infectious disease, Katina Makris, Lyme, lyme disease, Lyme Warrior, medical, national tour, Providence, Rotary International, Tick-borne disease, Ticks. Bookmark the permalink. I use WordPress, can’t remember which theme or how I modified it. I wanted a clean look, but recently added logos to my activities and now it is not so clean. It is a work in progress. Can’t say about Drupal. I have heard Katina speak and she is a great speaker. Wonderful book. Yahoo! We will rope and wrangle down the Lyme broncos and change the future. Thank you Cynthia for announcing my talk at Providence Rotary.